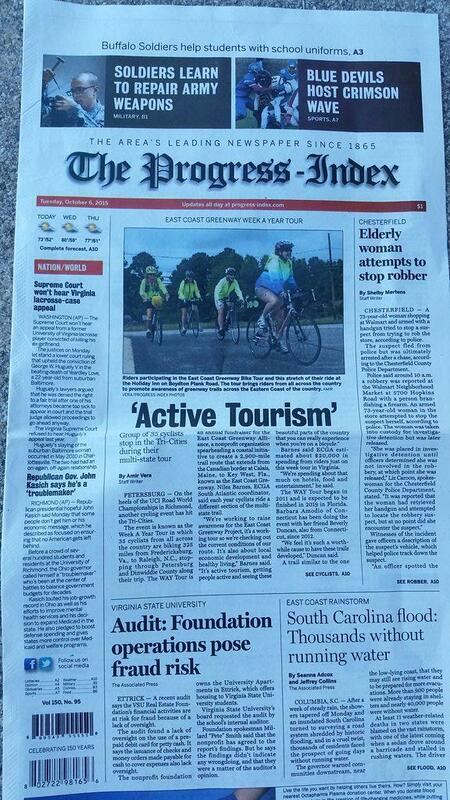 Day 3: Our East Coast Greenway WAY bicycle tour made the upper fold of the local newspaper! 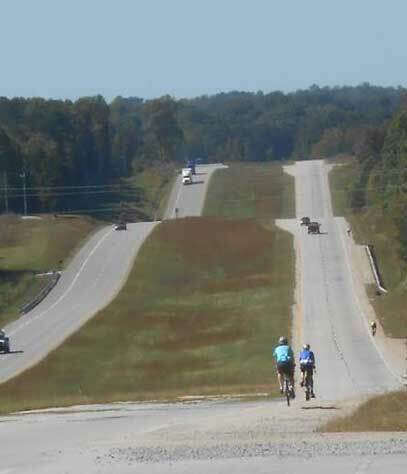 We had a long ride waiting for us today – 72 miles from South Petersburg to South Hill Virginia. Greeted with cool temperatures (50 degrees) and sunny skies, the stars are aligned for an perfect ride. We departed en masse from the hotel, and proceeded to weave our way southbound. Within an hour, the mass of 36 cyclists had re-formed into groups of 3, 5 and 6 riders, the car traffic had dissipated, and we worked together to get the best out of the ride. Approximately 20 miles into the ride we reached Historic Route 1. Historic Route 1 parallels Interstate 85, which means that most of the traffic volume takes to I-85, leaving HR 1 mostly abandoned. For the first 10 miles on HR1, we passed many gas stations that were boarded up (likely due to not enough business), and it wasn’t until we had reached mile 30 (which was close in proximity to I-85) that we found a working gas station where we could re-fuel via snacks. 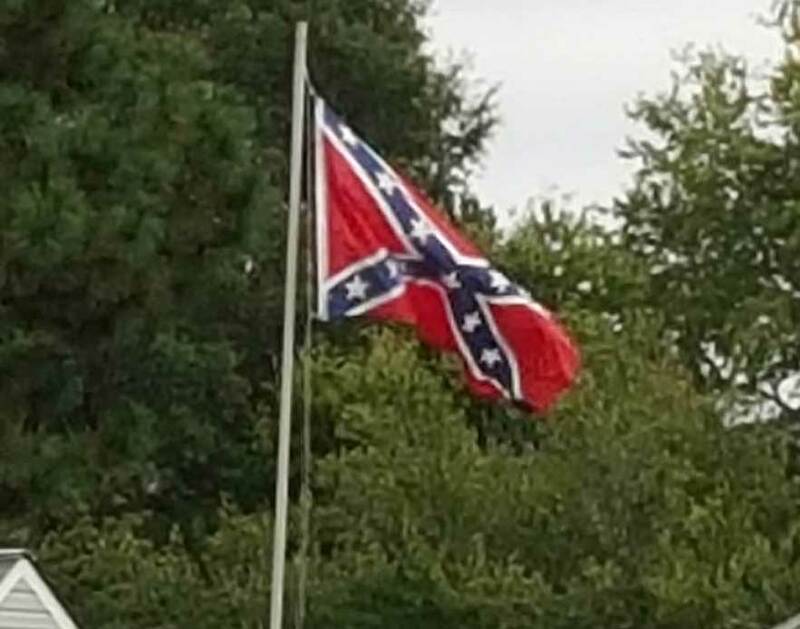 At the gas station, we encountered 2 proud Confederates (which is based on the size of their confederate flags that flew a top their pickup truck), who were apparently auditioning for a role in the movie “Proud to be a Confederate”, and made sure that anyone in a 1 mile vicinity could hear the music from their car (a confederate tune about the flag!). Watch Video! I kid of course about the movie role, but without naming names, I will say the the 2 male cyclists we were with (whose names rhyme with ‘cave’ and ‘miles’) immediately departed the gas station leaving 2 women (Donna and myself) behind to work diplomacy with the locals. Donna – was taking her time eating her energy snack, and I was running out of diplomatic thoughts. I did what I had to do. 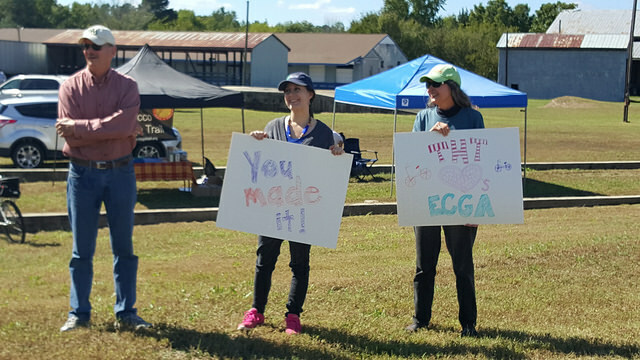 I put an end to Donna’s snack time – and we hit the road at nearly race cadence leaving the Confederates behind. 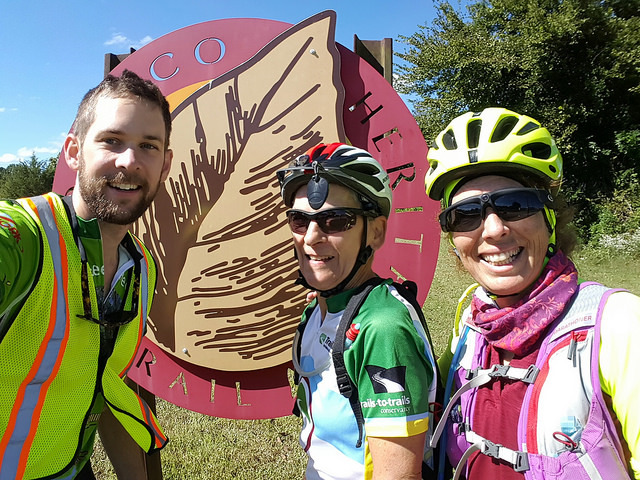 By mile 52 we reached Lawrenceville VA – the home of the Tobacco Heritage Trail. Here we were greeted by the Town Manager and a lovely welcoming committee – who shared fruit, snacks and water with our WAY Tour cyclists. 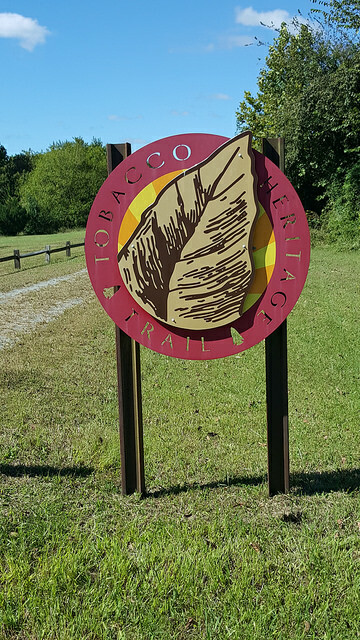 The Tobacco Heritage Trail was once a railway, and has been converted into trail use. It extends 17 miles from Lawrenceville to South Hill – our final stop for the day. The trail is a sandstone surface, and much planning, care and dollars have been invested to include restrooms and other amenities along the way. The trail of course is vehicle free, and the soft sandstone surface allowed us to get in a little extra workout in for our day’s ride. 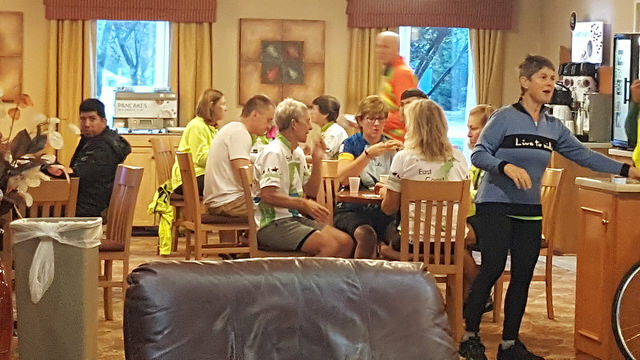 Another fantastic ride, with wonderful riders who are committed to linking major cities along the eastern seaboard – for those who love to travel by foot or bike.